How is genetic information translated into chains of amino acids, which combine to form proteins, the building blocks of life? 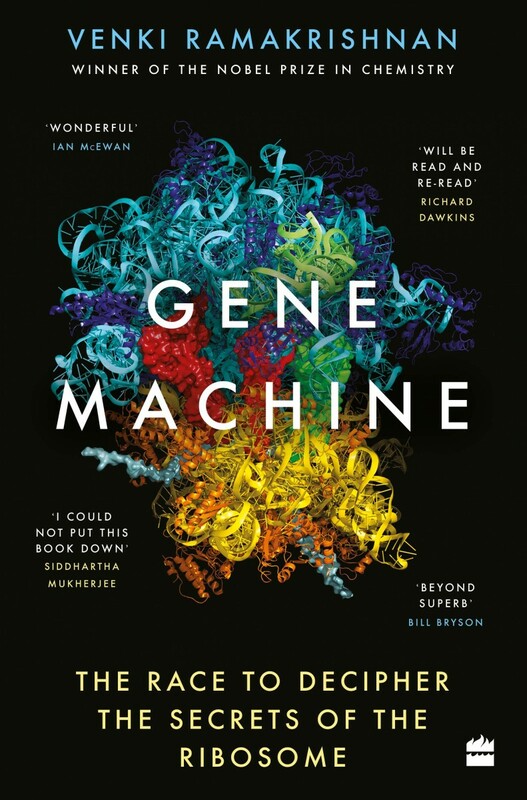 In his 2018 book Gene Machine, Venkatraman “Venki” Ramakrishnan, a noted structural biologist, answers this fundamental question even as he chronicles the drama of the race to unravel the structure of the ribosome, the molecule responsible for making proteins in all living organisms. For his work, he won the Nobel Prize for chemistry in 2009, together with crystallographer Ada Yonath and biochemist Thomas Steitz. 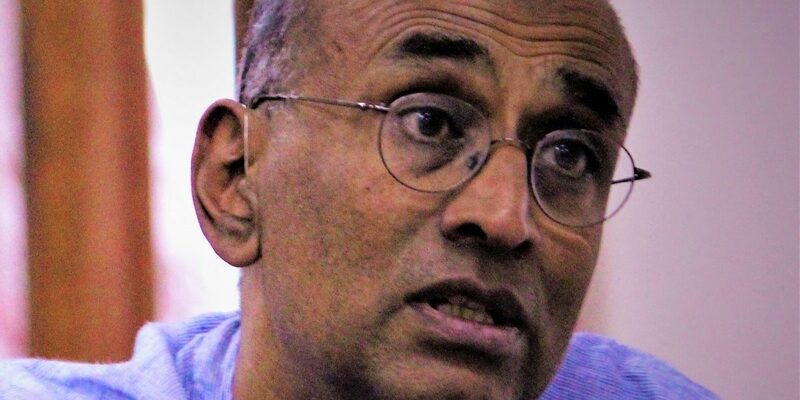 In a brief sit-down during a visit to the Indian Institute of Science, Bengaluru, Ramakrishnan tells us why he wrote the book, the choice of its unique style and more. I would say in one go that you’ll learn about the ‘mother of all molecules’ – the molecule that makes everything else in the cell or makes molecules that make everything else. At the same time, you’ll get an inside look into how science works and what scientists are really like. The field was flourishing and new discoveries were constantly being made. What do you mean by ‘promised land’? What you mean is lots of opportunities. So in that sense you’re right. In a way molecular biology was a ‘promised land’ as well. The book is written almost like a thriller involving a race with fierce competitors, where the personal story is interwoven with the scientific story. That’s not the most obvious way to write a popular science book. Why did you choose this narrative? And when did you arrive at it – was it something you always wanted to do or did it evolve? I was also very influenced by The Double Helix by James Watson [published 1968]. I read it as an undergraduate in Baroda (now Vadodara). At the time, I was a physicist and biology was taught as a collection of facts to be memorised. The Double Helix for the first time gave me a feeling that biology was actually very interesting. There were goals. There was a mystery and you could go solve it. It’s not just about collecting a bunch of facts. It was written in a very personal style. Again as you say, it wove the science with the personal stuff. And it was written very frankly. I thought it would be good to write in that genre. Of course, there’s a fine line between being very, very frank and honest and being what I would call unnecessarily nasty. I would like to think that I’m on this side of that line and not on the nasty side. Well, that’s one reason I wrote the book: to educate the general public which hopefully will include decision makers. A former science minister in Britain has read my book and liked it. People in all walks of life need to understand how science is done. What is the process of science like? How do discoveries emerge? It’s not like turning on a tap and discoveries flow out. It’s more like planting seeds. That would be a better analogy. You plant seeds, you nurture it. Some of the seeds will flourish and become great big trees. Others may not. But if you don’t plant widely, you’re not going to get anything. That’s the way I would look at it. You don’t shy away from referring to your insecurities, apprehensions and the occasional embarrassment. While you laud Yonath’s vision, you are also critical of her in some instances. Richard Dawkins says you write with “disarming frankness”. How hard was it to be brutally honest about yourself and your competitors when you were writing it? Did you think of editing some sections out at any point? Some parts have been edited because the book has been carefully checked by lawyers. But even after the editing, it conveys the sense that the original draft had. Again, The Double Helix was sort of a model. My view is that you want to tell people what science is like, what scientists are like and how it felt [being part of the race]. If not, why would you want to write a book? If you’re not going to be honest, the reader is not going to have a true picture. So it’s almost an imperative to be completely honest. If you’re worried about it, you shouldn’t be writing it. Or you could write some other book. You talk about the politics of recognition and warn against the corrupting influence that awards can have on researchers. You’ve even coined a term – ‘Nobelitis’ – that affects many scientists. How did you deal with it when it seemed like the carrot was dangling in front of you and after you received the Nobel Prize? I go through that in the book. I think it’s very, very hard. When you first go after a problem, you’re not thinking of awards. You’re thinking that this is the most important problem in the field. And I want to take a stab at cracking it. Soon, you find yourself in the middle of a race. And then the problem is solved. You’re happy, you’re ecstatic that [the solution to] this very tough problem has actually been worked out. The gamble has paid off. You start getting invited to meetings in Sweden and for other keynote talks and so on. Suddenly it affects your psychology. You start thinking, “Do I have a chance or don’t I? Who else would be in the running? Oh, maybe I’m not good enough.” It’s not a good feeling. I talk in the book about how after one meeting in Sweden, I basically decided that I wasn’t going to be in the running for one funny reason. Somebody with whom I’d had a disagreement ended up on the [Nobel] committee. [I thought] that settles that. In a way, the moment I decided I didn’t have a chance, it was a huge relief. Because then I could go back to my old self and keep enjoying science for its sake and watch the other people worry about it. I didn’t expect that level of press and public recognition, although oddly Britain was the one place where I was hardly recognised. None of the TV stations featured me on their newscast. I wasn’t in the print edition of most of the British newspapers. You would’ve thought that the fact that somebody from the US took a factor-of-two cut in salary to come and do science in Britain would’ve made a great story for British science and for Britain. It was a little odd. Winning a Nobel Prize does not mean that you’re a genius. It doesn’t even mean that you’re very smart. But the business from India was really strange because I’d left India when I was 19. I had almost nothing to do with Indian science except that I started coming to Bangalore and a few other places from about 2006. So the people who knew me in India were people in my field: molecular and structural biology. They knew my work. Nobody else cared about it. At all. I gave a lecture in honour of G.N. Ramachandran in 2008 in Chennai. The hall was maybe half full. The next year a hall that was about three times as big was packed. What was the difference between 2008 and 2009? My work hadn’t changed. So I think it’s a very strange business. And I talk in the book about [the fact that] people don’t understand what the Nobel is. It’s given for advancing a field by making a discovery or invention. But it does not mean that you’re a genius. It doesn’t even mean that you’re very smart. There are Nobel laureates who simply got lucky. They weren’t great scientists even. I think it’s a bit odd. I’ve learnt to go with the flow and try not to let it disrupt my life too much. It was this book, and it was gestating even before the Nobel Prize. Because as I said, [even] as events unfolded, this would make a great story. Soon after the Nobel Prize, I started collecting material for the book and interviewing people. In fact, some of the people I talked to are dead now. So it’s a good thing I interviewed them a long time ago. And then I thought this has been going on long enough. So I thought at some point it’s worth sitting down and actually doing it. And once I found an agent, there really was the pressure to start writing it. The ribosome, as you put it, lies at the crossroads of life itself because it forms a crucial link between genes and proteins. But since the double helix was discovered, it’s taken several decades for us to understand the ribosome and how it works. Is it merely because of the molecule’s complexity? Yes. DNA by contrast is a very simple molecule: it has a simple double helix. It has a very symmetric structure, a very regular structure. You can think of it as a very simple coil, whereas you can think of the ribosome as a big mass of spaghetti. So it is a very complicated and enormous structure. I think it’s probably why it took so long. 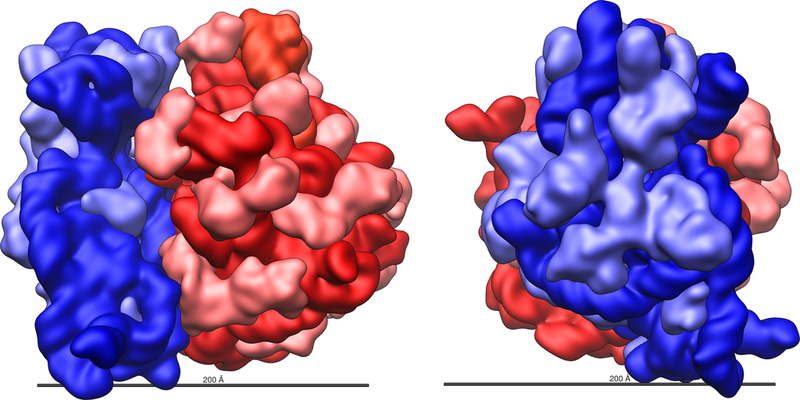 The ribosome was always a target, but people just didn’t think it couldn’t be done [emphasis added]. To their credit, Ada Yonath and Heinz-Günter Wittmann [a German biochemist at the Max Planck Institute] got the first crystals. Ada had the vision that this is the way forward. We didn’t know how to do it, but this is the way forward. Other people thought, “Why should we do it? She’s got crystals and a huge group. What’s the point in competing with her?” I think there was some feeling about that as well. Otherwise other groups might have joined in earlier. This interview was conducted and published jointly by IISc’s magazine Connect. Read it here. Karthik Ramaswamy is a visiting scientist at the Indian Institute of Science, Bengaluru.